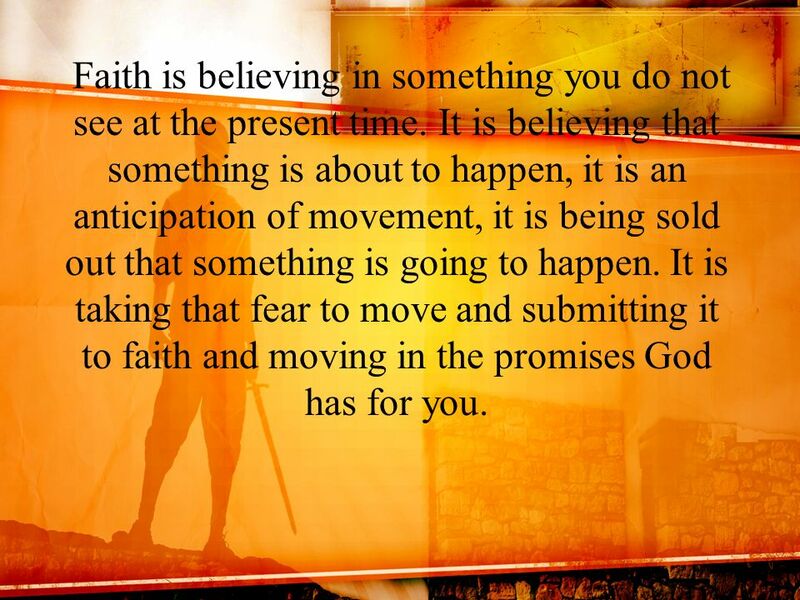 2 Faith is believing in something you do not see at the present time. It is believing that something is about to happen, it is an anticipation of movement, it is being sold out that something is going to happen. 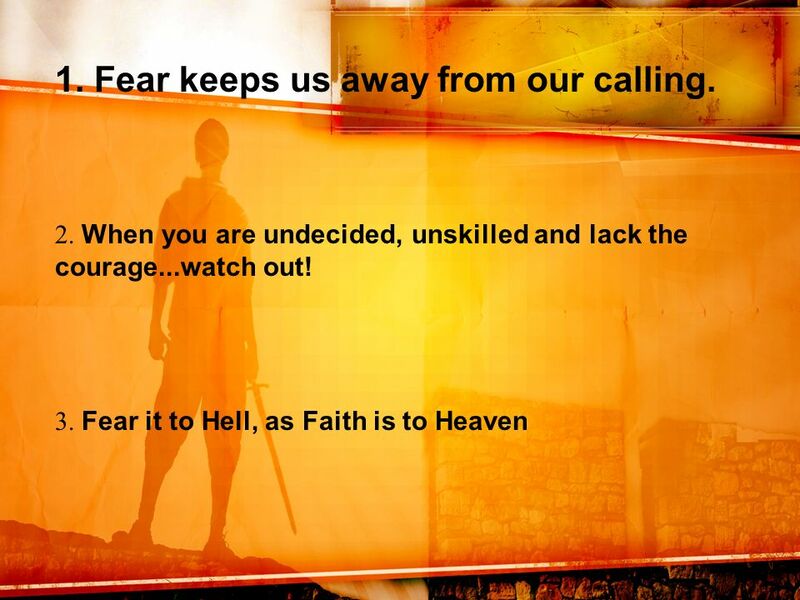 It is taking that fear to move and submitting it to faith and moving in the promises God has for you. 3 Judges 6:12 One day the angel of God came and sat down under the oak in Ophrah that belonged to Joash the Abiezrite, whose son Gideon was threshing wheat in the winepress, out of sight of the Midianites. The angel of God appeared to him and said, "God is with you, O mighty warrior! "Gideon replied, "With me, my master? If God is with us, why has all this happened to us? Where are all the miracle-wonders our parents and grandparents told us about, telling us, 'Didn't God deliver us from Egypt?' 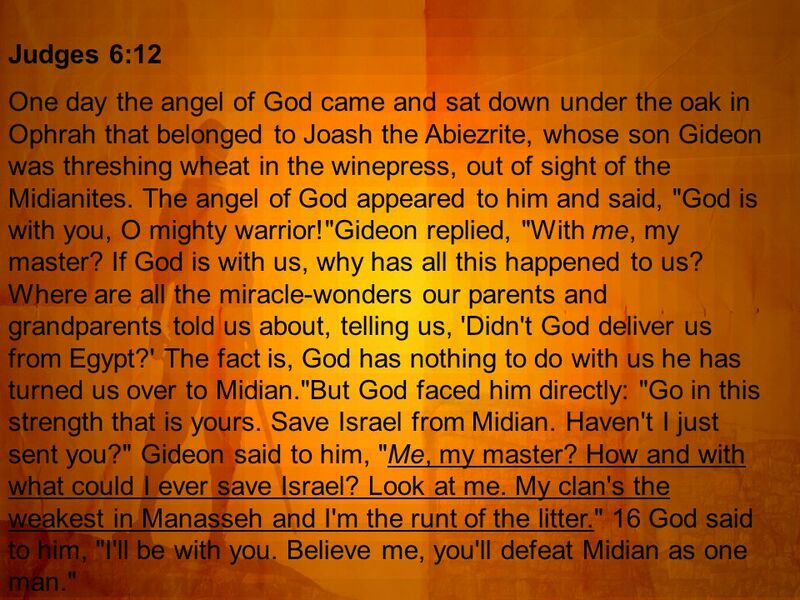 The fact is, God has nothing to do with us he has turned us over to Midian. "But God faced him directly: "Go in this strength that is yours. Save Israel from Midian. Haven't I just sent you?" Gideon said to him, "Me, my master? How and with what could I ever save Israel? Look at me. My clan's the weakest in Manasseh and I'm the runt of the litter." 16 God said to him, "I'll be with you. Believe me, you'll defeat Midian as one man." Download ppt "Faith is believing in something you do not see at the present time. It is believing that something is about to happen, it is an anticipation of movement,"
Moses, Leader of God’s People Presented by Sermons 4 Kids Featuring the art of Henry Martin. Martin Luther King Jr. By: JOSHUA.A.S.W. 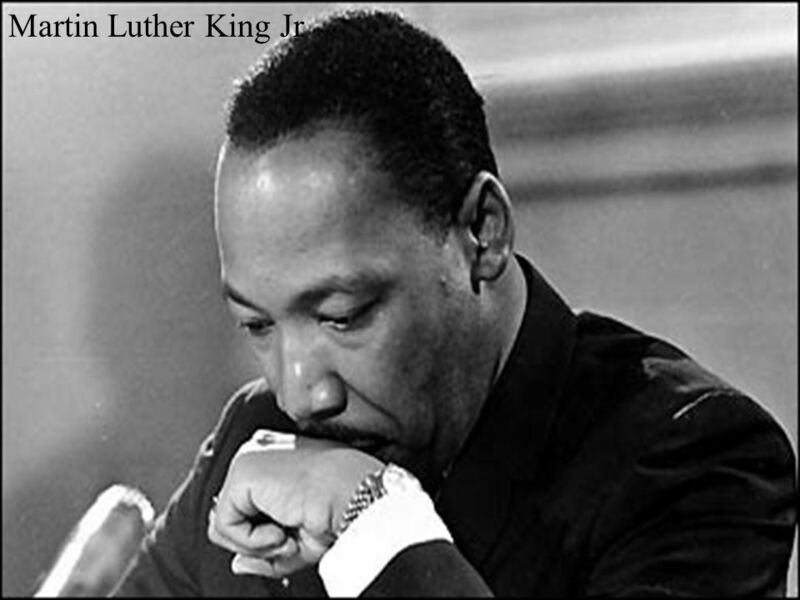 Martin Luther King Jr. was shot by a sniper bullet by a white man that didn't like him and he was a bad person. Cow tipping Destroying the Idols which hinder the flow of the Holy Spirit in our lives. Luke 1:5-25 5 In the time of Herod king of Judea there was a priest named Zechariah, who belonged to the priestly division of Abijah; his wife Elizabeth. THE GIDEON IN YOU Judges 6:11-34 March 2, 2003 Harry Jarrett. 11 Now faith is the assurance of things hoped for, the conviction of things not seen. 2 Indeed, by faith our ancestors received approval. 29 By faith.  James 1:5  If any of you lacks wisdom, you should ask God, who gives generously to all without finding fault, and it will be given to you. The Best Fuel. Scripture: Judges 6:25-32 Reader: Matt Hogan. Sermon for Sunday, October 20, 2013 Acts Community Church. Feelings of Inadequacy Questions / Comments Feelings of Inadequacy. 1 Corinthians 16:13 (AMP) Be alert and on your guard; stand firm in your faith... Act like men and be courageous; grow in strength! 14 Let everything. Community Bible Study. Give Me More! I. 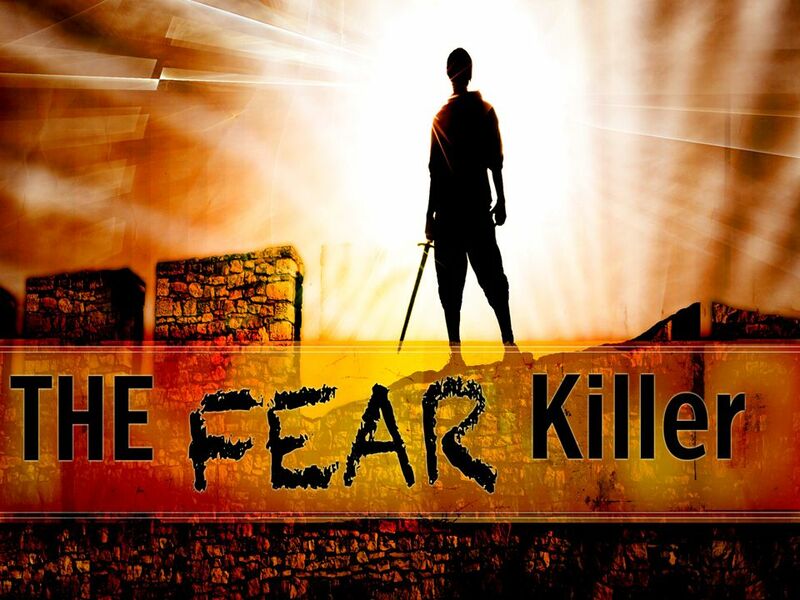 Fear and Trembling Part 1 A. Winepress B. Angel of the Lord C. Weakest – Don’t Pick Me D. Obeyed Part 1 II. “Staring Fear in the Eye!” Judges 6-7. Will Willimon (former dean of Duke Divinity School) He was returning to his hotel room after the theater. It was. Please read Judges 6-8. The Life of Gideon Judges 6-8 By David Jung. Examples Instruction from other’s mistakes.. Perseverance & Encouragement Romans 15:4 (NASB77) 4 For whatever was written in earlier times was written. Truth In the Inward Parts. And He appointed twelve, that they might be with Him and that He might send them out to preach. ~ Mark 3:14. M. MAZZALONGO BIBLETALK.TV THE GIDEON PRINCIPLES.